A high performance storage solution featuring ultra-fast Thunderbolt and USB 3.0 interfaces in an all aluminum enclosure. 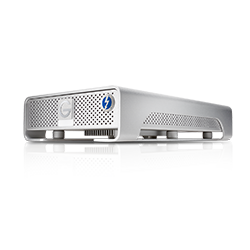 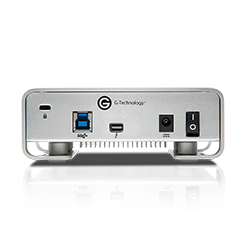 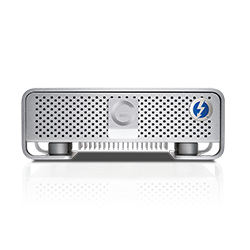 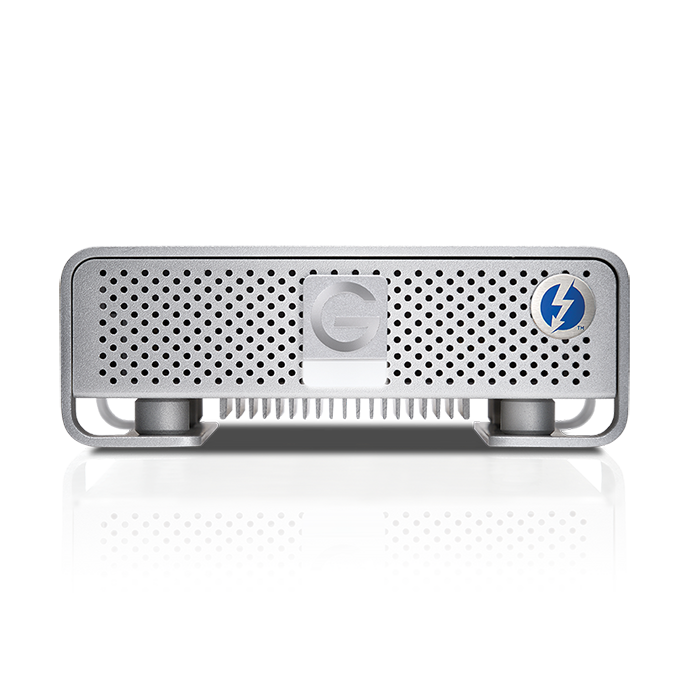 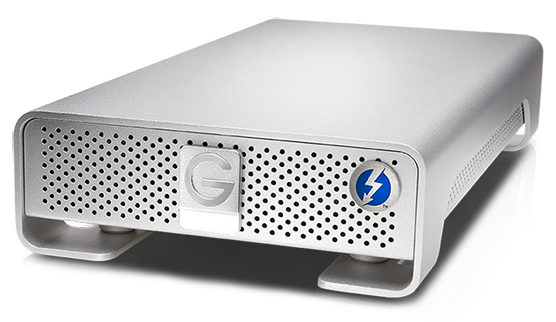 G-DRIVE with Thunderbolt is perfect for storage-intensive applications like audio/video editing, digital photography and data backup. 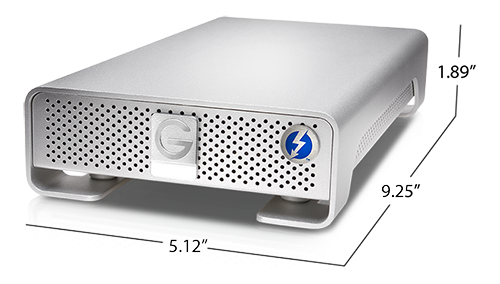 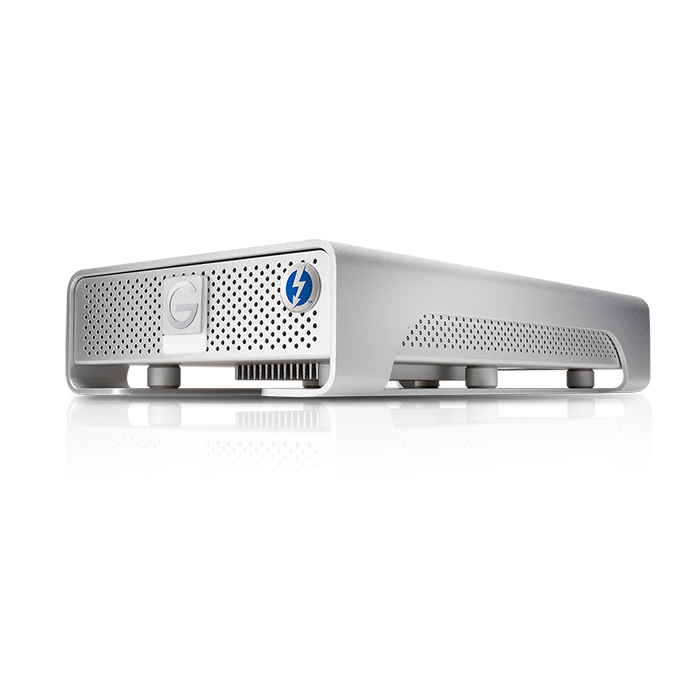 Available in storage capacities up to 10TB, G-DRIVE with Thunderbolt is plug and play on Mac OS, and easily reformatted for Windows. 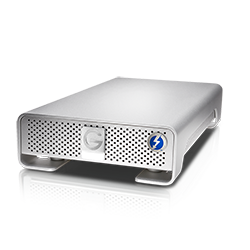 Up to 12TB1 of 7200 RPM hard drive storage, it's designed for storage intensive, multimedia files, including HD video, photos, and music. 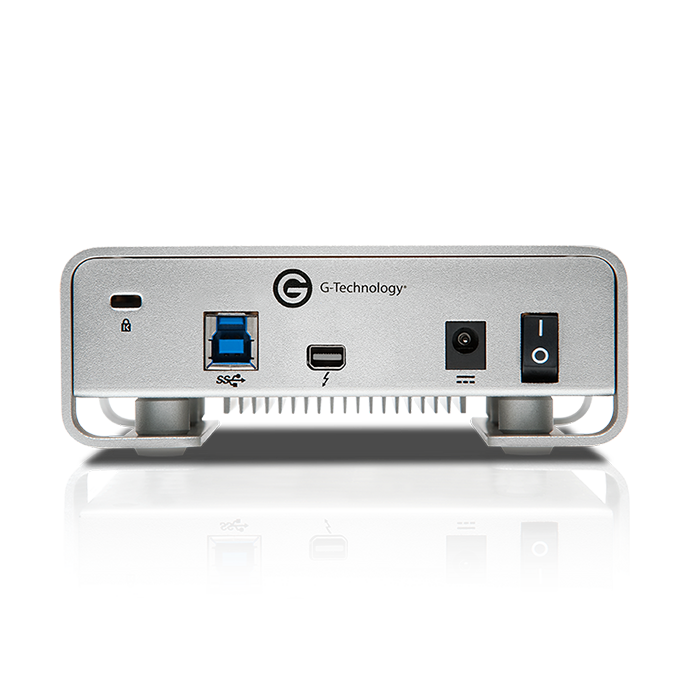 Transfer rates up to 245MB/s and a USB 3.0/Thunderbolt ports let you quickly back up and transfer video, photos and documents.